Savvy Spending: Free Rita's Italian Ice on 3/20 from 12-9 pm! 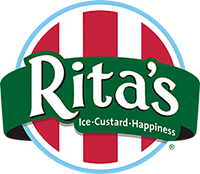 Free Rita's Italian Ice on 3/20 from 12-9 pm! Tomorrow is the First Day of Spring!! You can stop by your local Rita's location on 3/20 between 12 and 9 pm for a FREE Rita’s Italian Ice!